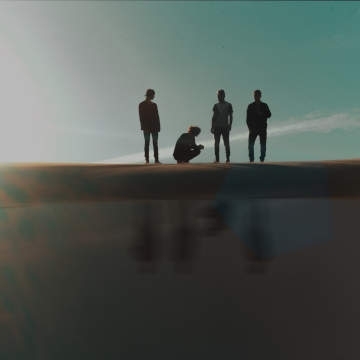 Blending indie rock and synth pop into an atmospherically hooky sound, Flor is the project of vocalist Zachary Grace, bassist Dylan Williams, guitarist McKinley Kitts, and drummer Kyle Hill. The band got its start in Hood River, Oregon, when Grace began experimenting with electronic music-making programs to create ear-catching synth sounds. Williams built tracks around these snippets, turning them into songs that updated the sound of the '80s for the 21st century. The band released its debut single, "Heart," online in 2014, with the Sounds EP arriving that October. Following the release of the 2015 full-length Sights & Sounds. The band's first album for the label, come out. you're hiding, was released in 2017.